Corporations are moving towards the reduction of corporate offices in order to strike a balance between cost savings (less investment in office space) and the improvement of staff management, which is the main focus of interest. • Social or cultural benefits. • Reconciliation measures that allow staff to balance work and family life. According to a recent survey , some 50% of employees have expressed difficulties reconciling work and family, which increased to 75% for those who have children with special needs. Flextime or telework is viewed as one of the most efficient ways to meet these needs, thanks to the numerous benefits it brings to the company, employees, and society as a whole. 1. Security of corporate information. 2. The capacity to provide teleworkers with remote communications infrastructures (depending on the nature of the work). In the first scenario, companies can have work-at-home or off-site employees and provide them with VPN security software solutions based on the IPSec standard, which ensure secure connections between the worker’s location and the corporate information systems. These solutions suit those with a flexible schedule and teleworkers who need safe remote access to critical company data. 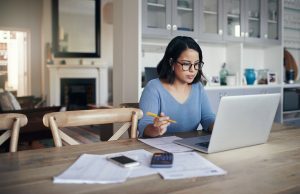 The second case, teleworking, is where employees physically (and permanently) work off-site (often at home) and their company provides them with necessary connectivity tools to accomplish their jobs. In the context of this scenario, corporations are increasingly implementing transparent solutions for their workers. SD-WAN solutions, for example, are valid for corporate offices and teleworkers. This way, companies can provide swift, robust and secure end-to-end deployment with end user transparency. User experience is identical to working within the company network. In fact, the idea of working away from the office is becoming the trend. 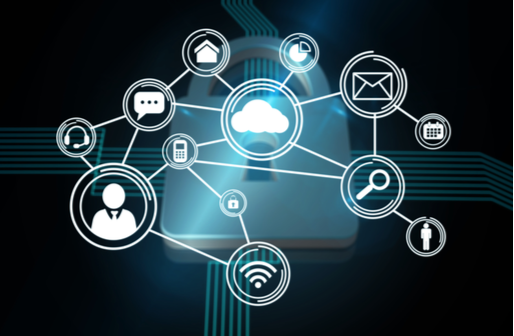 SD-WAN is the ideal solution for remote company access, since template-based orchestrated policies can be seamlessly applied to mobile connectivity. The management of remote user access to solutions in a public cloud directly from standalone locations (breakout) adds value to the solution. It allows filtering policies to be implemented, grants direct access to business applications (without going through the head office) and frees up corporate data traffic. From this angle, teleworking is one of the most effective conciliation solutions, bringing together many advantages for companies, employees, and society as a whole. • Reduction of infrastructure costs. • Increase in production, teleworkers are more motivated by the trust their organization has placed in them. • Potential increase in finding talent, teleworking opens doors to hitherto inactive sectors, such as special needs people. • Increase in business capabilities, to open up new telematic markets. • Drive for Corporate Social Responsibility (CSR) measures that favor employees. The development of work-at-home brings many benefits to the employee. • Possibility to reconcile family and professional life. • Increase in motivation and commitment. • Reduction in non-productive time and stress and the overall improvement in the quality of life. • Savings on travel costs. In addition to the above-mentioned advantages for companies and employees, society can also benefit. • Good for environmental sustainability, reduction in unnecessary travel time. • Increase in social cohesion by improving the quality of family life. • Move towards full integration, allowing sectors that were previously static due to the inability to reach the work place to get onboard (for instance, people with disabilities). The policy of teleworking, for all the above reasons, can widely benefit companies, employees and society. However, the technology to build this policy must be top quality and conducive to ensure uninterrupted working conditions. Teldat is able to provide the products and solutions, such as SD-WAN, that meet all the needs of flexible work arrangements. Computer Engineer and PDD from IESE. 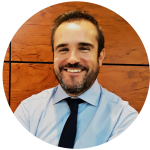 At Teldat, he is part of the sales team working as Territorial Director for Catalonia, Levante, the Balearic Islands and the Murcia region. Es una buena opción que las empresas sigan aplicando está madalidad del teletrabajo , y benefician a universitarios, personas con discapacidad etc.yo soy universitario y estoy en busca de un puesto que me ayude a seguir costeando mis estudios.